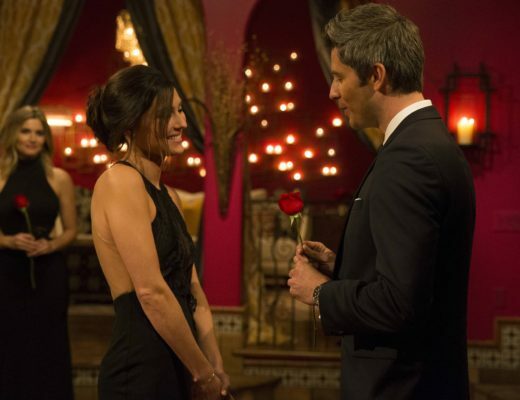 The Bachelor – Arie Episode 5 Recap | ya, we're basic. I am jumping in blind here since I missed a couple weeks recapping Arie’s season – apologies sisters, I am back to chat Bach. He is just so dull that I find that I am way more focused on the ladies and wondering how badly they wish Peter was there instead HA. Do the bachelor actually start music careers – who are these people? Chelsea gets the 1:1 date and they’re super cute. I actually like her a lot, she seems like she wants love so badly. But do we think Arie is into her? NOPE. I can just tell he has her there because he almost has to not because he was ever interested in dating a single mom veering on 30. I couldn’t even finish processing his date with Chelsea because we jumped to the group date at the bowling alley. And I just had one f*cking question: WHY DID ARIE LICK A BOWLING BALL?! IT IS A BOWLING BALL IT IS CLEARLY A DISGUSTING MESS!!! LIKE HE IS GOING TO MAKEOUT WITH WOMEN ON THIS DATE AND NOW EVERYONE HAS BOWLING BALL GERMS I AM LOSING IT. Rant over. Sorry guys. That seriously grossed me out but I guess alcohol kills germs and the ladies aren’t wasting any time ensuring that their mouths are sterile for Arie’s mmm kisses. The ladies split in to teams for a chance to win extra after-party time with Arie and the blue team wins bowling (and drinking). Also there is literally a girl that I do not recognize on the blue team which shows you how this season is going since it’s a clusterf*ck. So even though the blue team wins, Arie invites the losing team to the AP and I am pretty positive that fire shot straight out of Krystal’s eyes. THEN SOME MADNESS HAPPENS ON A BUS. Why didn’t we get to see what happened on the bus?! Krystal doesn’t go to the AP – Arie goes to talk to Krystal and disinvites her from the AP. I was actually impressed with Arie here. He actually put the other girls first and basically put Krystal in her place. BUT KRYSTAL AIN’T HAVING THAT. Krystal did join the after party and we get a peek of the should-be Emmy award winning editing splices between Bekah M mocking Krystal and Krystal walking in to the party. Lauren B. has just decided she can’t have this sh*t anymore and Bekah keeps pressing on. FINALLY someone on camera is calling Krystal out on her BS. She tries to play it both ways, and wants to be mad at Arie but then pulls the same garbage she was mad about him doing. It does not work like that sweetie. Get your life together. All while this is happening, Lauren B is a smarty pants because she runs off, finds Arie and gets some much needed 1:1 time. She ends up with the rose on the date which I think she earned by removing herself from the Krystal scene and that’s that for the group date. The last date we have is with Tia and Arie takes her to what I could only imagine used to be a murder house before grandpa Notebook Ryan Gosling rebuilt it and invited them over for fried foods. One thing I just noticed is that Arie and Tia have matching arm tattoos! Is it love?! Maybe but I hope not because I actually like her and feel like she could be The Bachelorette. All in all nothing major to end off this ep except that Krystal gets the rose and they’re headed to Paris! Really these girls lucked out with the trips but not the guy and while I have felt this season has gone wayyyyy down, I’m still interested in how it’ll turn out and will catch you next week for another recap, x!